How much compensation can I claim for a dog bite/attack? Britain is known as a nation of dog lovers. In fact, it is predicted that there are more than nine million dogs across the UK that are kept as pets. In most cases, these dogs are cared for responsibly, and they are loving, friendly animals. Unfortunately, there are rare instances when this isn’t the case. If a dog has turned aggressive, and you have been bitten or attacked as a consequence, you will be able to make a dog attack claim for compensation. This is something we have many years of experience in, and so we can help you to get the full amount of compensation you deserve. For more information, simply read on. What is a dog bite/attack injury? Bitten by a banned breed of dog, can I claim compensation? Why do you claim against when involved in a dog bite or attack? My child was attacked by a dog can we claim compensation? I got bit by a dog causing me to have tetanus can I claim compensation? What is the law regarding dog bites? I got bit by a stray dog can I claim compensation? What is the Dangerous Dogs Act 1991? My dog has bitten someone but I don’t have insurance, what should I do? Can I make a claim for a loved one who has been attacked by a dog? What can be claimed for after a dog bite/attack? Why choose us as your claims service for a dog bite claim? If you have been the victim of a dog attack, it can be extremely distressing. 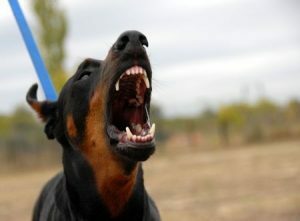 Some dog attacks are severe, and can take years of treatment. Others may only be minor, but the psychological impact can live on for a very long time. No matter what applies, it is important to be aware of the fact that you deserve an insurance payout for dog bite or attack. We can help you to get the compensation you deserve, but before you give us a call, read on to find out more about these types of claims. In this guide, you will find information regarding what to do if you are involved in a dog attack, how to begin a claim for dog bites UK wide, as well as details on the average dog bite compensation awards. If you have any queries about the information in this guide, please do not hesitate to get in touch. A dog bite or attack injury is any type of injury that has been sustained due to an aggressive dog. So long as the incident was not your fault, i.e. you were not provoking the dog in any manner; you will be able to claim compensation. Seeing a medical professional – Of course, this may seem like an obvious point. However, even if you have sustained a minor injury, it is vital to see a doctor. Not only is this crucial for your health, but it is also important for your case. The doctor you see will put a medical report together, which will be used to determine how much compensation you will receive. Take photographs – Taking photographs of your injuries is a good way to strengthen your case. Make a note of what happened – This will make sure you do not forget anything later down the line. Get the contact details of the dog owner – If possible, get the contact details of the person that is responsible for the dog. Get witness information – If anyone witnessed the dog attack, it is important to get his or her contact details. Making a criminal injuries compensation dog bite claim is easy when you use our service. All you need to do is give us a call. You will be able to ask us any questions you have, and we will also ask you some questions during our free consultancy. This is merely so that we can get the facts of the case, so that we can advise you in the best possible manner. We can also arrange a local medical for you, if required. If you have been bitten by a dog while at work, you can make a claim for compensation. If you are a vet or you work in the veterinary industry and it is likely that you will come in contact with aggressive dogs, you may be able to claim against your employer if the necessary precautions have not been put into place. This is something we can advise you on further, so please do not hesitate to get in touch. If a banned breed of dog has bitten you, you have even greater grounds for compensation. Not only is the owner breaking the law by owning the dog in question, but also they have then been negligent by enabling the dog to cause harm to another person. We have plenty of experience in such cases, and are dedicated to securing the maximum compensation for dog bite victim. In most cases, you will make a claim for dog bite compensation awards against the owner of the dog. After all, the dog is their responsibility. However, there are some exceptions, i.e. cases whereby someone else is to blame for the incident. A good example of this is workplace dog attack claims. If you work in an environment and you have regular interactions with dogs, and the necessary precautions for your health and safety have not been taken, you could have grounds for a claim against your employer. If a dog has attacked your child, you are able to claim dog bite child compensation on their behalf. This is something we highly recommend. However, if you do not proceed with a claim, your child will have three years from the date of their 18th birthday to do so themselves. To launch a dog bit tetanus claim, please give us a call. There are a number of laws in place regarding keeping and controlling dogs. A dog owner has a legal responsibility to keep their dog under control. They must register their dog, ensure it does not create public nuisance, and they will be held responsible if their dog attacks another person. If a dog owner is in breach of the law, it is important that they are brought to justice, especially if you have been injured as a consequence. Claiming compensation for a stray dog attack can be more difficult. There are ways you can go about trying to find the owner. If you have been unable to do so, you may have grounds to claim against the council or anyone that is responsible for the area in which you were bit, be it a business park or a local housing estate. The best thing to do is call us so we can get a better understanding of your case and advise you correctly. The Dangerous Dogs Act was introduced in 1991, as a response to a number of incidents that had occurred involving uncontrolled and aggressive dogs. This act involved banning the four breeds of dog mentioned above. It also banned the breeding, exchange, and sale of these dogs. Aside from this, it enforced all dog owners to register, insure, neuter, tattoo, and microchip their dogs. If your dog has bitten someone and you do not have insurance, please get in touch with us as soon as possible to discuss your options. You can launch a claim for compensation for dog bite victim on their behalf if they are unable to do so. If your loved one has been badly injured and they cannot make a claim themselves, you can secure compensation for them. Care claim – If you have required home assistance will you recover, the person that has cared for you can claim. The most common injuries that occur due to dog bites or attacks include cuts, wounds, scars, and similar injuries. The severity of the injury will differ depending on the attack, but in a lot of cases, plastic surgery can be required in order to smooth out the scar so that it is less noticeable. If you think the wound is infected, it is important to get medical help as soon as possible. A lot of people get in touch with us to ask about the average payout for dog bite UK claims. You may have even come across a dog bite compensation calculator online. It is important to understand that these calculators can only provide you with a rough estimate. Unfortunately, it is impossible to give you a definitive figure regarding how much compensation you will receive. This is because every case is different, and there are so many variables involved. However, what we can do is tell you the average compensation for a dog bite and the typical payout amounts for injuries related to dog attacks. If you cannot find the injury you are suffering from in this table, please do not hesitate to get in touch, and we will be happy to advise you further. Loss of anticipated earnings £10,000 - £40,000 This is calculated based on your current pay grade, as well as future prospects. There is potential for a higher maximum payout based upon cases where the person has potential for greater earnings in the future. Loss of benefits £5,000 - £500,000 This is calculated based on the income you have actually lost. There is the potential for a higher maximum payout in certain cases. Pain and suffering £1,000 - £200,000 This is calculated based on the level of pain and suffering experienced. Severe psychiatric damage £41,675 - £88,000 This relates to incidents whereby the prognosis is poor and there are marked problems with regards to future vulnerability, the extent to which treatment would be successful, the impact on the injured person’s relationships with friends and family, and claimant’s ability to cope with work and life. Moderately severe psychiatric damage £14,500 - £41,675 In these cases, there will be problems mentioned in the above bracket, yet the prognosis will be a lot more optimistic. Moderate psychiatric damage £4,450 - £14,500 For such cases, there may be some problems such as those in the above two categories, however, there will be a marked improvement by the time of the trial. The prognosis will also be good. Less severe psychiatric damage £1,170 - £4,450 For these cases, the person does not have a specific disorder or phobia. The payout will be determined by the extent to which sleep and daily activities were affected, as well as the length of the period of disability. Facial disfigurement – Very severe scarring – Females £36,800 - £74,000 For such cases, the psychological reaction will be severe, and the cosmetic impact will be very disfiguring. Facial disfigurement – Less severe scarring – Females £23,000 - £36,800 This relates to cases whereby there is a significant psychological reaction and disfigurement is still substantial. Facial disfigurement – Significant scarring – Females £13,650 - £22,875 This represents cases whereby plastic surgery will have reduced the worse effects, yet there will still be some cosmetic disability. The psychological reaction may also be considerable. Facial disfigurement – Less significant scarring – Females £3,000 - £10,450 For less significant cases, the overall effect does not markedly impact the person’s appearance – it mars it. There may be a number of small scars or one scar. Facial disfigurement – Trivial scarring – Females £1,300 - £2,675 This level of payout is for minor cases only. Facial disfigurement – Very severe scarring – Males £22,265 - £50,000 This refers to cases whereby there is a significant element of psychological reaction, as well as permanent disfigurement, even after plastic surgery. Facial disfigurement – Less severe scarring – Males £13,650 - £22,875 This payout is for cases that has left moderate to severe permanent disfigurement. Facial disfigurement – Significant scarring – Males £6,925 - £13,650 Such scars are visible at conversational distances only. Facial disfigurement – Less significant scarring – Males £3,000 - £6,925 Such scarring will only be prominent on close inspection. Facial disfigurement – Trivial scarring – Males £1,300 - £2,675 This level of payout is for minor cases only. Scarring to other parts of the body - Severe Likely to exceed £79,700 The size of the award will be impacted by: the psychological impact, any resulting physical disability, the next for and extent of surgery, the cosmetic impact of the injuries, the person’s reaction to the cosmetic impact of the injuries, whether the scars are superficial, partial thickness, or full thickness, and the percentage of body area that has been affected. Scarring to other parts of the body – Moderately severe £5,950 - £17,275 A large portion of awards in this category are for a single disfiguring scar or noticeable laceration scars. Scarring to other parts of the body – Moderate In the region of £6,575 This is for cases whereby surgery has been performed, but there is no significant internal injury. Scarring to other parts of the body - Minor £1,800 - £5,950 In cases where there are several superficial scars or a single noticeable scar. There will be some minor cosmetic effects. One of the key benefits associated with our service is the fact we work on a No Win No Fee basis. This means that anyone can make a compensation claim, irrespective of his or her current financial status. You will not need any money to make a claim, and you will never find yourself in the position whereby you have a huge legal bill to pay; yet you have not been awarded any compensation. This is because our No Win No Fee service means that you will only need to pay legal fees if your case is successful, in which case, you will have compensation to cover the cost. There are many knock-on benefits associated with making a No Win No Fee dog bite UK claim. This includes the fact that you can be confident we will never waste your time. We only take on cases that we believe have a genuine chance of success; we have nothing to gain by stringing you along. On the other hand, if you were to opt for the services of a solicitor that charged per hour, there is always the risk that they will simply take on your case for the payout they receive. After all, they are not impacted by the outcome of your claim. There may be many personal injury law firms to choose from today, but you will struggle to find a company that provides a service as professional and caring as ours. Our clients are always our number one priority. We understand that you are going through an extremely traumatic time at present, and the last thing we want to do is add to the distress you are feeling. This is why it is always our aim to secure the maximum possible compensation payouts for dog bites, and to do this in the most efficient and hassle-free manner. We want you to focus on your recovery while we will focus on getting the compensation you deserve. You can also be certain of an expert service when you get in touch with us. We have many years of experience in the industry, and an impeccable reputation to back it up. We know personal injury law like the back of our hands, and we have secure compensation for many cases involving dogs, including dog bites child claims and claims for dog bite infections. You only need to read the comments that have been left by our previous clients to see that this is the case. If you want to make a claim for dog bite compensation, please do not hesitate to get in touch. You can speak to a member of our friendly and professional team by calling 0800 073 8804. We will also have any questions you have about claims for dog bites, including queries regarding dog bite law, average compensation for dog bite claims, and much more. This link takes you to the UK Government’s guide on controlling your dog in public. It provides useful information on banned dogs, Public Spaces Protection Orders, dog fouling, and reporting a dog. This link is useful, as it takes you to a press release that explains the changes in the law regarding dangerous dogs. In 2013, the law changed so that dog attacks on private properties were covered. You can find more information here. This link takes you to the human, animal and dog bite NHS page. It includes information on what to do if you have been bitten, when to get medical advice, dog bite treatment, signs that a bite may be infected, common causes of bites, and how to avoid animal bites. If you want to report a stray dog, use this link to do so. You can use the search function to find a postcode to contact the dog’s owner. If you do not know the dog’s owner, you need to contact your local council. This link provides you with plenty of information regarding the Dangerous Dogs Act 1991. This includes information on the effect of the Act, the index of exempted dogs, comparable legislation elsewhere, and much more.